I was mesmerized by the flow and movement from this November evening in Lhonak, Nepal. Beneath me I could see the dirt- and rock-covered glacier, slowly retreating down the mountainside. 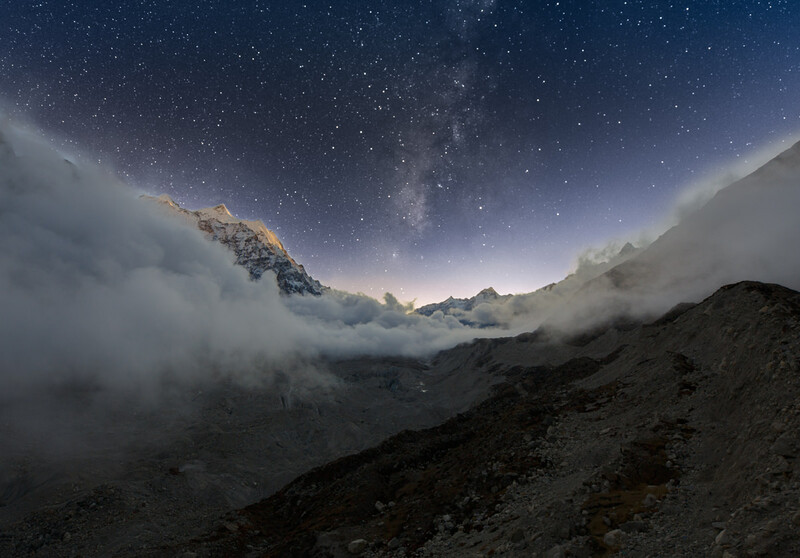 Sleeping at 15,600 ft, the evening clouds greeted us at eye level and eventually dissipated to reveal the Milky Way. See more of Doug’s work by visiting his website.